A luxury wall tap manufactured and designed in Italy in high quality stainless steel. 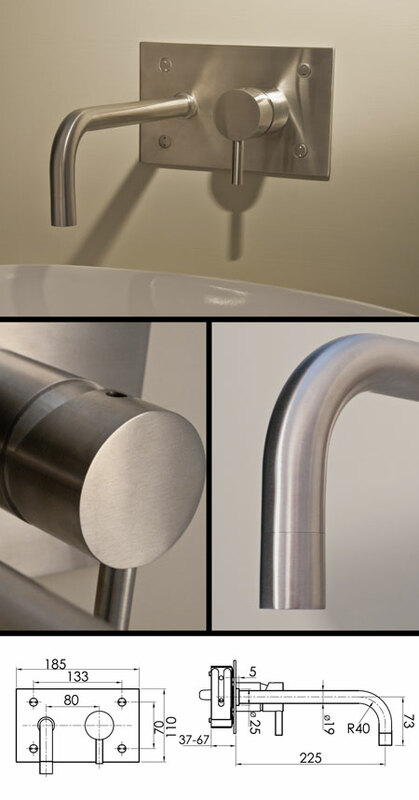 These luxury bathroom tap has a satin brushed finish which is nice design alternative to the usual chrome tap finishes. * Single lever mixing of water.